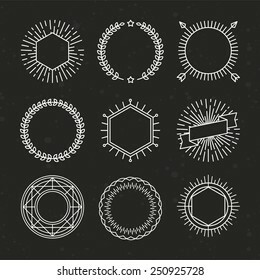 Abstract Geometric Patterns Set with Hipster Style Icons for Logo Design. 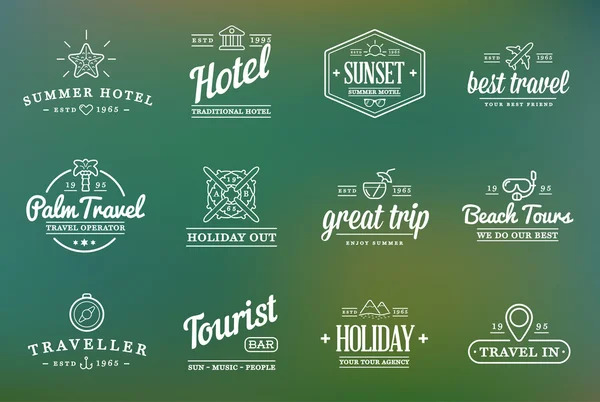 Line Retro Signs for Logotypes and Business Cards. 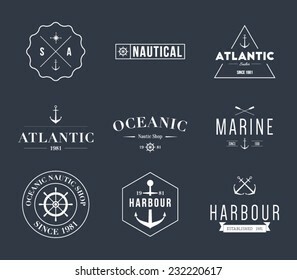 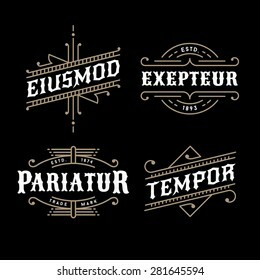 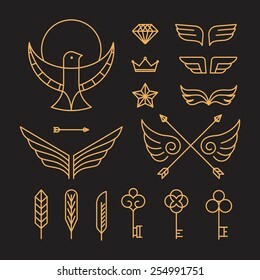 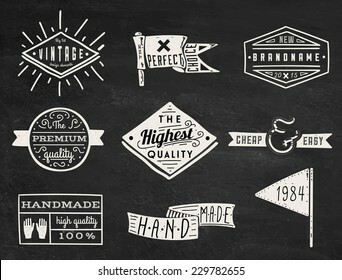 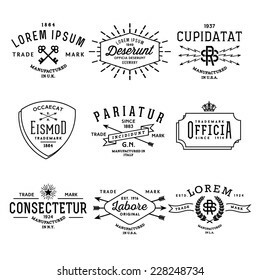 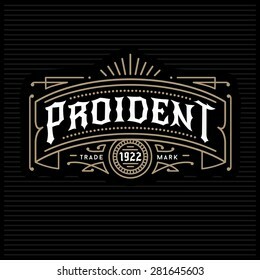 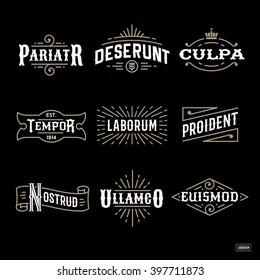 Handmade workshop logo vintage vector set. 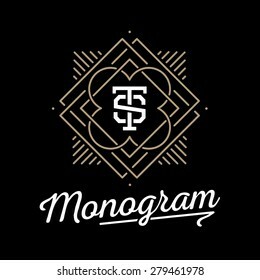 Hipster and retro style. 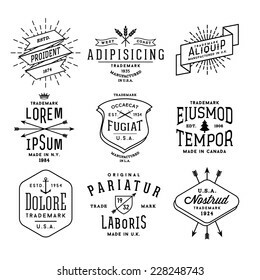 Perfect for your business design. 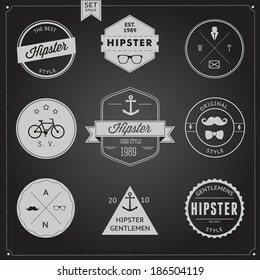 Hipster logos with skull in caps and glasses with a mustache, with his hands and sunburst. 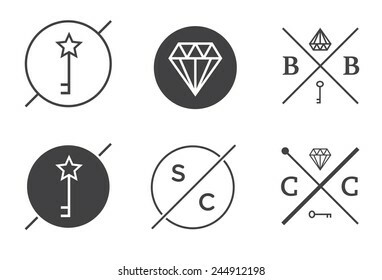 Elements for retro emblems. 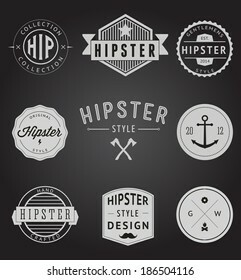 Hipster style icons, labels for logo design. 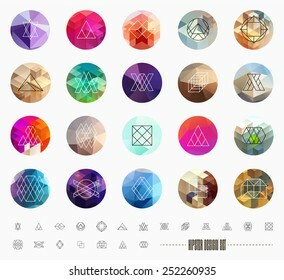 Abstract geometric pattern shapes template, possible deconstruction.